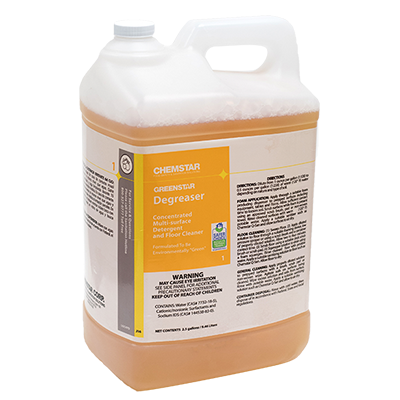 Chemstar Greenstar Degreaser is comprised of ingredients determined by the EPA to meet rigorous safety criteria within their class. Because it contains no volatile organic compounds (VOCs), it is less harmful to the environment and atmosphere. A high foaming degreaser that rapidly emulsifies greases and oils. Effective on all surfaces not harmed by water. Removes food type soils from stainless steel, aluminum, plastic, masonry surfaces and hard tile. Suspends soils so that they can be rinsed from surfaces. Rinses freely, leaves no residue. Underwriters Laboratories approved for slip-resistance. Kosher certified. 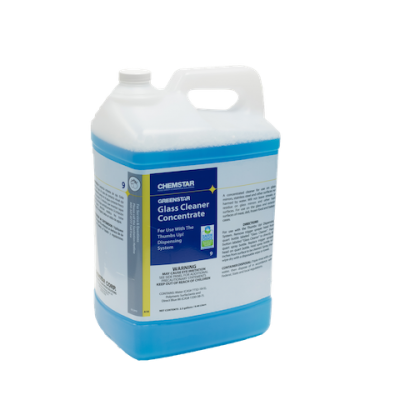 Chemstar Greenstar Glass Cleaner Concentrate is comprised of ingredients determined by the EPA to meet rigorous safety criteria within their class. Because it contains no volatile organic compounds (VOCs), it is less harmful to the environment and atmosphere. 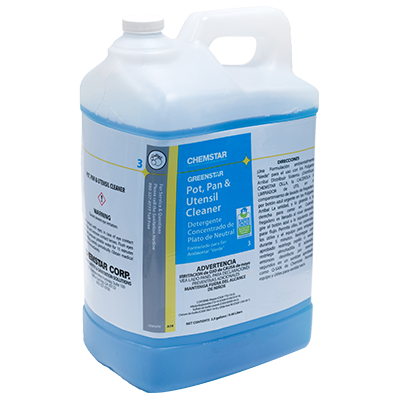 Chemstar Greenstar Pot, Pan & Utensil is comprised of ingredients determined by the EPA to meet rigorous safety criteria within their class. Because it contains no volatile organic compounds (VOCs), it is less harmful to the environment and atmosphere. Penetrates food residues and soils to aid in quick and easy removal. Mild on hands and rinses easily. EPA/Safer Choice recognition does not constitute endorsement of this product. 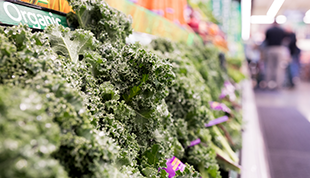 The Safer Choice logo signifies that the product’s formula, as Chemstar has represented it to the EPA, contains ingredients with more positive human health and environmental characteristics than conventional products of the same type. 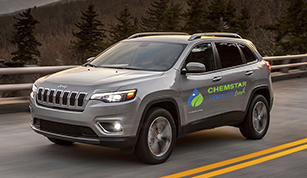 EPA/Safer Choice relies solely on Chemstar, its integrity and good faith, for information on the product’s composition, ingredients and attributes. EPA/Safer Choice has not independently identified, that is, via chemical analysis, the ingredients in the product formula, nor evaluated any of Chemstar non-ingredient claims. EPA/Safer Choice provides its evaluation only as to the product’s human health and environmental characteristics, as specified in the Standard and based on currently available information and scientific understanding.